Coconut oil has so many benefits, including lauric acid benefits. 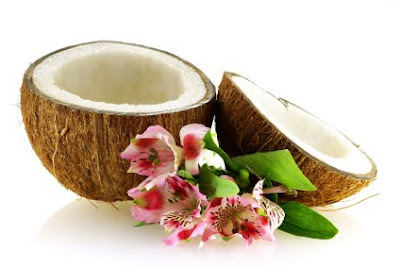 Let’s take a closer look at the benefits of coconut oil and lauric acid. The benefits of coconut oil truly reach far and wide, but certain components of this tropical oil stand out for their valuable contribution to good health. Lauric acid–a medium-chain fatty acid found mainly in coconut oil–is one of these prized substances. Pure coconut oil contains about 50 percent lauric acid, which makes it the most abundant natural source of lauric acid on earth. The compound monolaurin is an effective treatment for candida albicans and fungal infections like ringworm and athlete’s foot. Monolaurin also specifically targets bacterial infections as well as lipid-coated viruses like herpes, the measles, influenza, hepatitis C and HIV. Researchers in the Philippines have even begun studies to research the effectiveness of lauric acid against HIV/AIDS because of its strong antiviral properties. Plus, lauric acid is essentially non-toxic, which gives it a distinct advantage over modern pharmaceutical drugs that are typically used to fight viruses, bacterial infections and fungal infections (I mean, heck, I’d rather down some coconut oil over conventional drugs any day!). Without a plentiful source of lauric acid, the body cannot produce monolaurin, and all of these important benefits are lost. Many people who regularly consume coconut oil experience less sickness. Breast milk is the only other natural source that contains such a high concentration of lauric acid, which could explain the drastic decrease of infections of all types in breastfed babies. The lauric acid content of foods and infant formulas has been rapidly decreasing over the years. 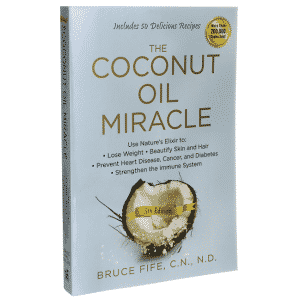 Manufacturers and consumers alike have turned from using coconut oil and have replaced it with cheap vegetable oils, obliterating lauric acid intake in the process. You can get about two grams of lauric acid from one tablespoon of dried coconut, coconut butter, and quality coconut milk (or homemade coconut milk) will contain about three and a half grams per two ounces. But coconut oil by far contains the best concentration of lauric acid – about seven grams per tablespoon. This amount will not only provide sizeable protection against bacteria and viruses, but it will also increase your metabolism and improve the condition of your skin and hair, in addition to many other benefits like the lauric acid benefits. To reap the full benefits of using coconut oil, choose a high-quality source that offers coconut oil in its best form: organic, cold-pressed and extra virgin. Thanks for reminding us how wonderful coconut oil and coconut products are. I wish I could remember all this information when people tell me how horrible coconut oil is for me. It seams like my brain freezes when I find myself in those kind of positions =(. When I was pregnant, I read about how our skin absorbs 80% of everything we put on it. So all that sweet smelling junk I was using from Bath & Body Works was poising my body! The tutorial I read said “If you wouldn’t eat it, then don’t put in on your skin”! I now use coconut oil on my skin. A little goes a long way, and I have found that since I’ve been using it (as well as eating it daily) my skin doesn’t need moisturizing very often. I use in on my baby girl too! I had a great experience with coconut oil with a nutrition client suffering from AIDS and a T-Cell count of about 4. He is now healthy, his T-Cell count is up to over 800 and he continues to put 3tbs. of coconut oil in his smoothie daily. can my 7 month old baby consume coconut oil? Generally, yes, coconut oil can be given to babies old enough for solid food. You can also apply it topically to baby’s skin, as the skin can absorb quite a bit of the coconut oil that way.